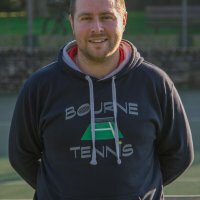 Matt is a Level 4 Senior Club Coach and holds an up to date LTA License. At only 29 he offers over 21 years of experience as a player and has been coaching for almost 13 years. Matt Cole is the Head Coach and the program coordinator for the Tennis In The Park scheme. Whether you are a beginner, intermediate or looking to compete at a high level, Matt has the education and experience together with the latest analytical technology to help you reach your full potential on the court.